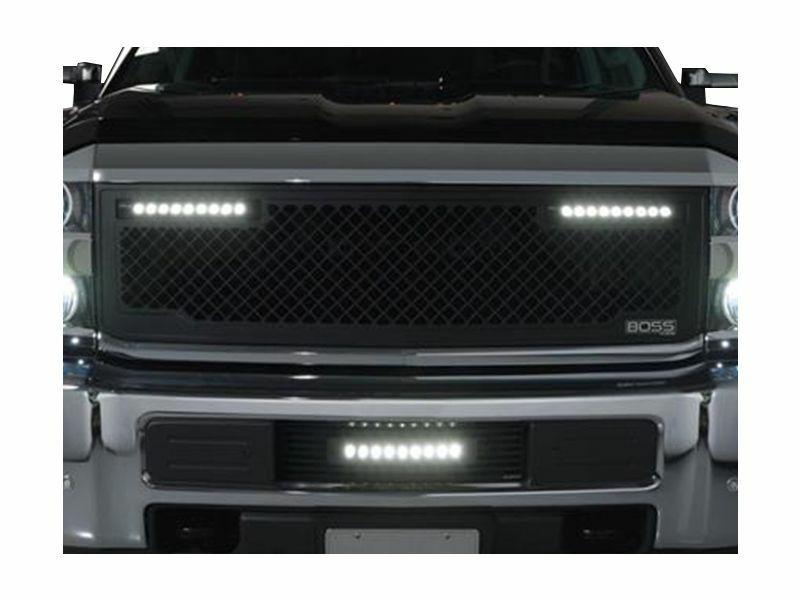 Whoa... Have you seen the Putco LED Boss grille yet? Is it a grille with an LED light bar, or an LED light bar with a grille? Probably doesn't matter. If you're reading this, you're thinking this is friggin' sweet looking! With a sinister satin black powder-coat finish, this is sure to make your neighbors jealous of your awesome bro-dozer. But this mesh grille has more than looks to offer. Cleverly integrated into these aluminum grilles are Putco's Luminix LED light bars pumping out up to 7,200 eye-piercing lumens at an impressive 27 watts. Throwing this light in a narrow 15 degree beam, you'll always know what's ahead on the trail. The way I see it, there are two kinds of people. Those who have light bars in their truck's grille, and those that wish they did. Which one are you? Painted surfaces has a 90 day warranty. Luminix light bars have a three year warranty. Installation is fairly simple - download the installation guide for your Putco Boss grille by first selecting your application if you'd like to know more. Cutting is usually required when installing a grille insert. If you have any questions, give our Customer Loyalty team a call at 877-216-5446 any day of the week. To see an installation guide for the Luminix light bars, check out the link below.